Today, Capcom posted revised lifetime sales figures for many of its franchises. 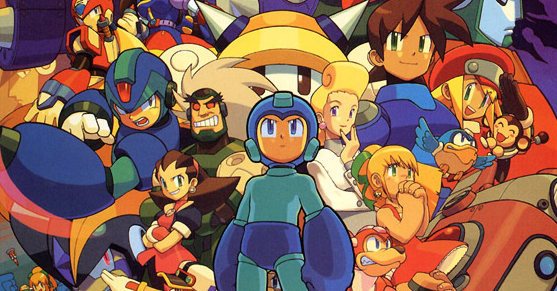 According to the numbers, the Mega Man series has sold 30 million units as of September 2013. Since 1987, 131 Mega Man games have been released. 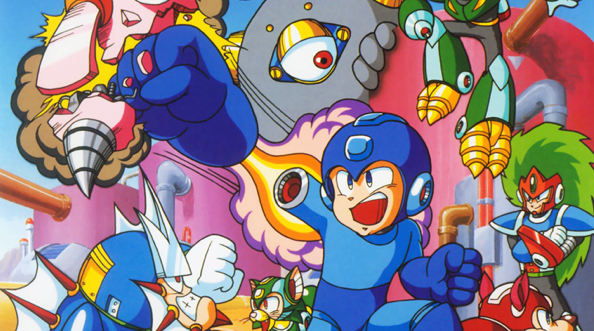 Mega Man continues to rank as Capcom's third best-selling franchise, right behind Street Fighter and Resident Evil. On the whole, Mega Man is up one million units since 2011. Given that few new games released since then, the boost is probably attributed to digital re-releases of older titles. 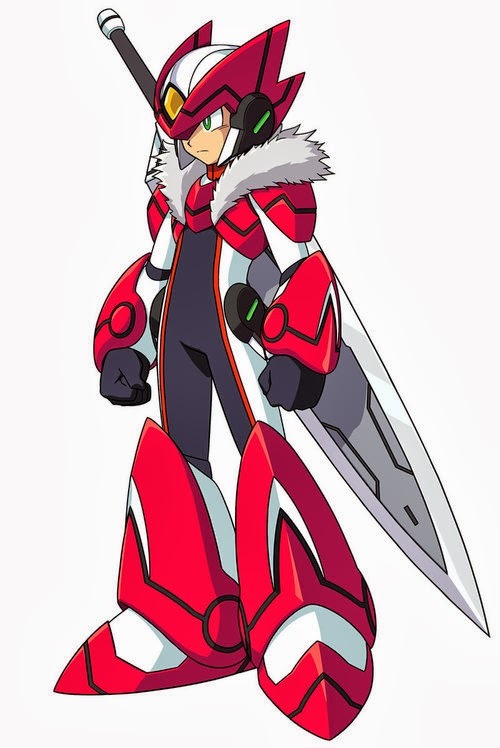 Free-to-play Rockman Xover and Street Fighter X Mega Man, million sellers in their own right, appear to be non-factor. You can read additional data at Capcom's Investor Relation page here. As promised, Capcon Unity's collaboration albums with OverClocked Remix and Sumthing Else Music are upon us. For Everlasting Peace: 25 Years of Mega Man is now available digitally for $9.99 from OC Remix, CD Baby, and iTunes. 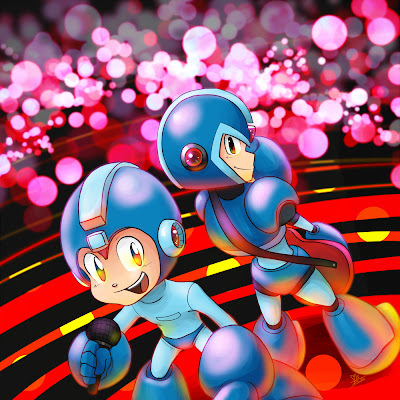 Meanwhile, you can grab MM25: Mega Man Rocks for $9.99 on iTunes, Amazon and Sumthing Else Music. Be sure to hit those links for track lists and details! 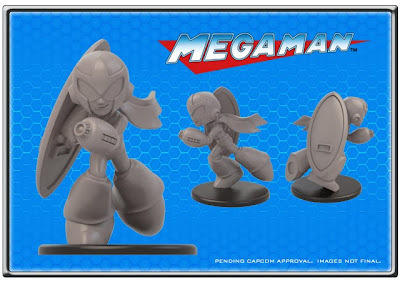 This prototype Proto Man mini figure comes from Jasco Games, makers of the official Mega Man Board Game. The figure is an example of what additional funding can yield when the game's Kickstarter launches later this week. As a friendly reminder, the Kickstarter is not for greenlighting the game, but raising money for additional content, extras, and higher quality components. The board game will be made and sold at retail regardless of the Kickstarter's success or failure. For more details, hit up the Mega Man Board Game on Facebook and Twitter. More news soon! 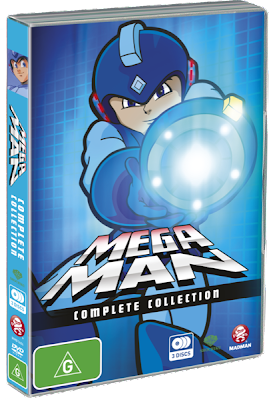 Madman Entertainment's online store has outed the Australian release date for the complete Mega Man animated series box set. The 3-disc set is due out on December 4th, priced at $49.95. And yes, that is the final box art. 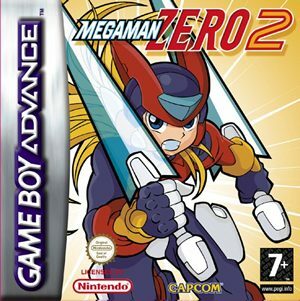 It's an uncanny throwback to the less-than-stellar PAL Mega Man covers of the mid-2000's. No special features or extras. For the most part this is a bare-bones reprint of the 2004 set. Discotek Media will be handling the set's North American release, slated for 2014. More news on that front soon. Here is an incredible stop-motion animation by Zach King, also known as “FinalCutKing” on YouTube. 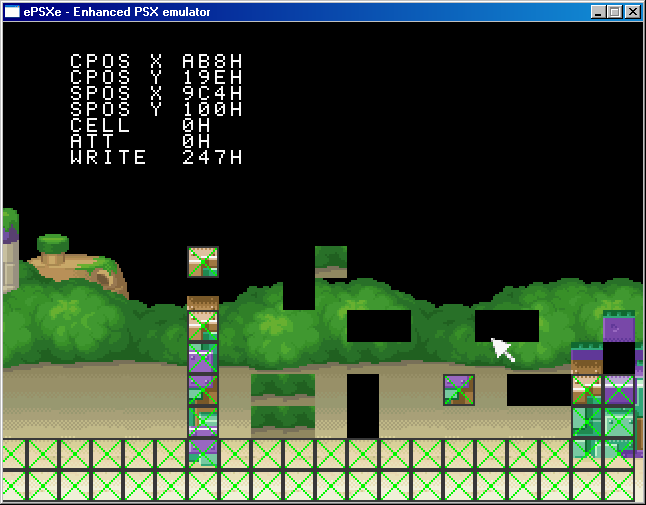 It features a rather jerkish Mega Man going around turning everyday objects into tiles. No mercy. According to King, roughly 10,000 photos and 1,000 individual tiles were used to create the video. That's pretty dang impressive. Give it a watch, fellas! To commemorate Capcom's 30th anniversary, Monster Hunter Felynes will be appearing as plushies in the form of iconic Capcom characters courtesy of Ichiban Kuji. The usual suspects are accounted for such as Morrigan, Chun-li and good 'ol Mega Man. It's kinda cute, no? 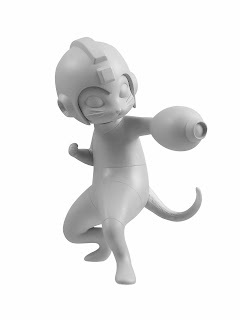 Ichiban Kuji are also reportedly working with Capcom to produce a limited edition Mega Man-Felyne figurine. It may look a tad creepy now, but I'm sure it will turn out nice once images of the final coating bubble up. I hope so, at least. No word yet on release dates for these these items let alone availability overseas. You're best bet may turn out to be eBay. As promised, here's Rashed's interview with Keiji Inafune from the IGN convention in Bahrain. Due to limited time, he was only able to ask Inafune three questions. Nevertheless, Rashed managed to pop the big one: now that we've seen Mighty No. 9, do you think we'll see a Mega Man Legends spiritual successor? 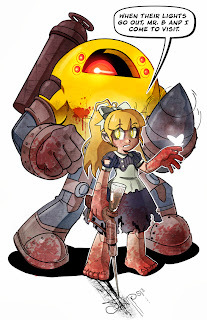 "Yes, he would really like to make Mega Man Legends, it's one of his favorite games. He'd like to but he can't at the moment. If he could make a game like it he would be very happy. Like this current Kickstarter, if he was able to do something like that, make a Kickstarter, get people to back it and use that funding source to make a game like that he'd be happy to do it." 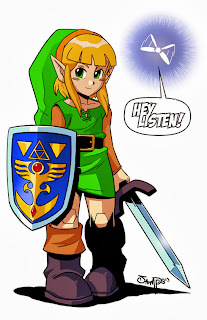 In all, this is a juicy tidbit if you're a fan of the series. Mind you, Inafune's house is currently hard at work developing Mighty No. 9, among other projects. I think it would be quite a while before we see a second Kickstarter. But hey, you never know. As discussed in an earlier update, Comcept has continued to offer all digital Mighty No. 9 rewards beyond the Kickstarter campaign via PayPal for a limited time. However, that limited time is just about to reach its end. Comcept has announced they will be ending the sale of the PayPal digital rewards this Monday, October 21st, at 9:09 pm PDT. It's hard to say if any of the goods will return after the 21st. Even if they did though, Comcept says it wouldn’t be at these cheaper, Kickstarter-bundle-level prices. In other words, you might want to get a move on soon. Monday will be here before you know it! For more details, check out all the digitial rewards currently being offered at the official Mighty No. 9 PayPal page. "Get Me Off The Moon" admin Rashed Mokdad will be interviewing Keiji Inafune at the IGN Convention in Bahrain tomorrow, October 18. 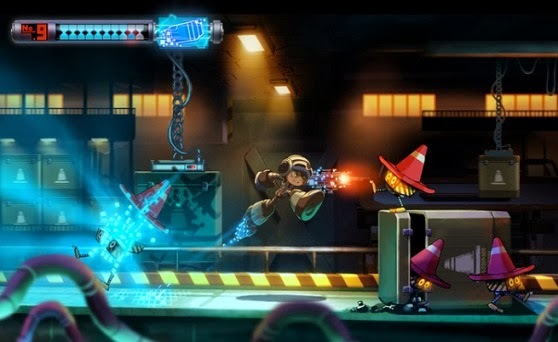 Inafune is currently attending the convention to promote two of his upcoming games, Yaiba: Ninja Gaiden Z and Mighty No. 9. The interview will be mainly focused on Mighty No. 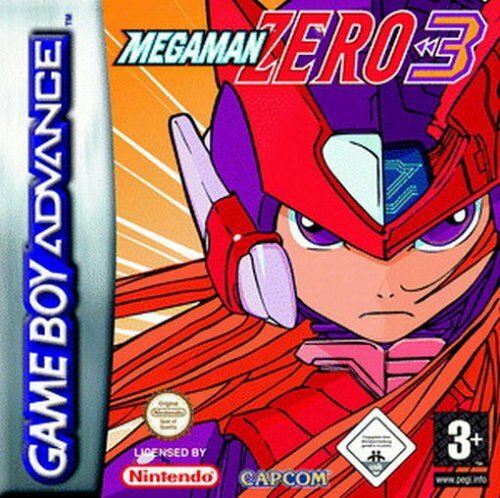 9, but there will also be a bit of Mega Man Legends talk, as well. Furthermore, Rashed is taking questions from fellow fans for this interview. Fans may submit their questions via the comments of the above YouTube video or the GMOTM post here. In addition, Rashed will also be handing over a special gift to Inafune, which showcases an abundance of Legends 3 fan-artwork from Bahrain, as well as a couple contest ideas from the Devroom! Pictures of the interview will be posted on the Get Me Off The Moon Facebook page, so stay tuned! 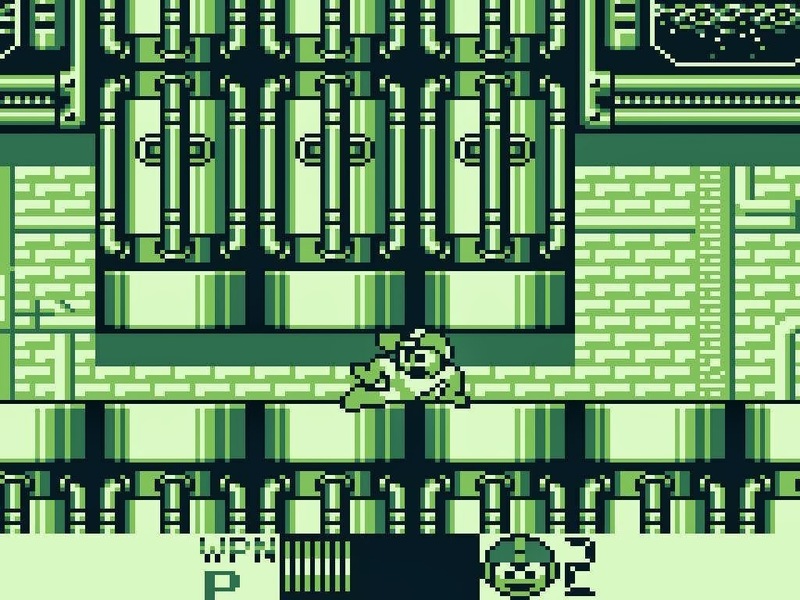 Where Are the Virtual Console Game Boy Mega Man Games? 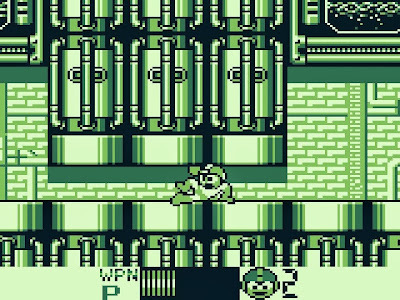 The 3DS Virtual Console in North America and Europe are still without the previously announced Game Boy Mega Man titles. 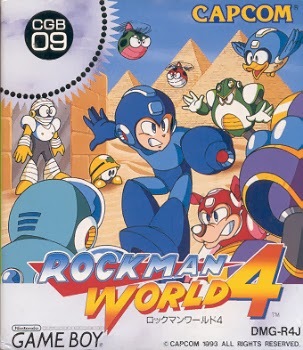 In Japan, meanwhile, 3DS owners are readying wallets for Rockman World 4. So, what's the hold up? 2 - These are just a handful of titles in Nintendo's busy VC schedule. There are new titles releasing each week so that means a bit of a bottleneck. We basically announced these games as soon as it was possible to do so, which means anything already in the pipeline is ahead of all six MM GB titles. MMII~V, Xtreme and Xtreme 2 are all coming. 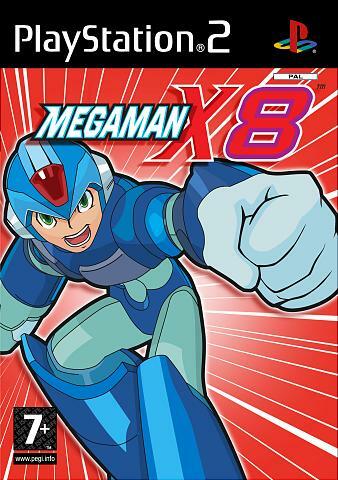 MMX2 (SNES) is a likely candidate given that it was on Wii's VC, but no update just yet." 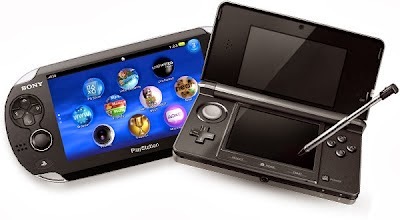 In short, the ball's in Nintendo's court. In the meantime we'll keep an ear to the ground and wait for the good word. Stay tuned! Think you're pretty good at Mega Man 10? 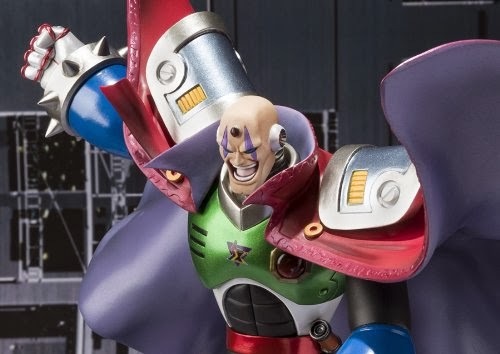 Tackle Capcom Unity's leadboard challenge and you could win one of eight free 25th anniversary statues. 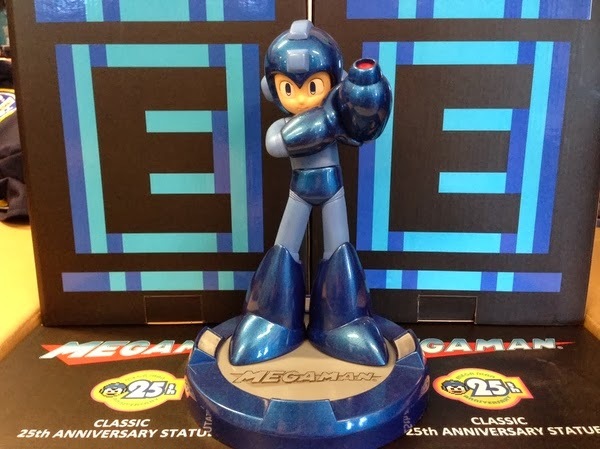 Each Friday Brett Elston will name a Mega Man 10 stage on either Xbox 360 or PlayStation 3, and one week later the player with the best time (i.e tops Capcom Unity's "Friend" filter for MM10 'Time Attack' rankings) will win a statue. That same Friday another stage will named and the challenge continues until all eight Robot Master stages are completed. Capcom Unity will do four stages for Xbox 360 and four stages for PS3. In all, eight chances to come out on top. If you'd like to give this a shot, check out the full details here. Best of luck! Just a friendly reminder: this weekend, beginning at noon EST on Saturday, October 12th, Storm Unity is hosting a 24-hour Mega Man X marathon to raise money for Child's Play. 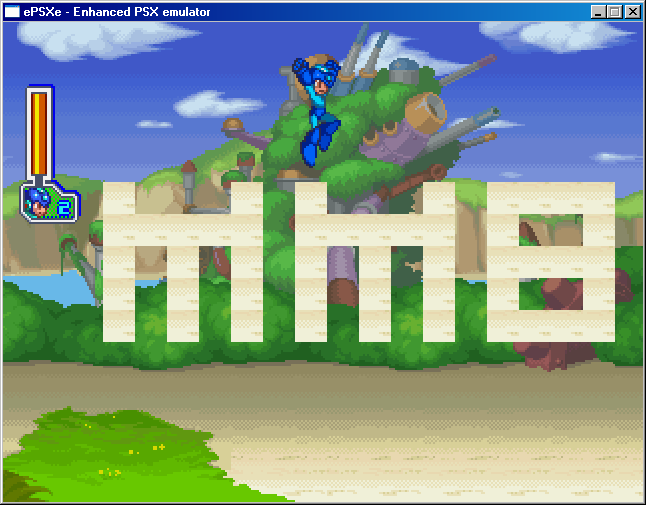 The team will strive to raise $2,500 as they play through all eight of the numbered Mega Man X games. The group also hopes to interview some special guests, and they will be raffling prizes off to those who donate money to the cause. Expect to see goodies from Capcom, Harmonix, Megaran, and many more. For all the details, check out their official website. Sumthing Else Music Works has combined forces with Capcom to deliver MM25: Mega Man Rocks, a compilation tribute album featuring 18 fan-made tracks and remixes inspired by the franchise. 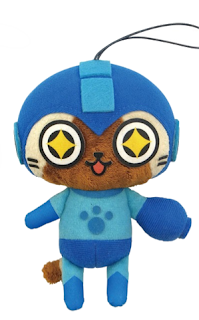 MM25: Mega Man Rocks will be available for purchase from iTunes, Amazon.com, and Sumthing Else Music Works' website on October 29. Look forward to it! Famitsu has gotten a hold of the first image of the upcoming "Rockman X Sound Box", which houses 450 tracks of X series music on 12 discs. What's more, the set will include a booklet of liner notes from numerous Rockman contributors, such as Yoshihiro Iwamoto, Hitoshi Ariga, Ucchy san, Shin'ya Okada, and more. Special commemorative artwork from Hitoshi Ariga and Yoshihiro Iwamoto will also be included. 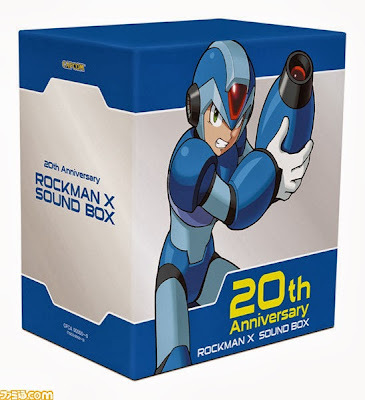 Rockman X Sound Box is due in Japan on December 18th for 12,600 Yen (roughly $129 US). Every day until Halloween, Archie Mega Man's Ryan Jampole is dressing up Roll in a different costume each day in October. 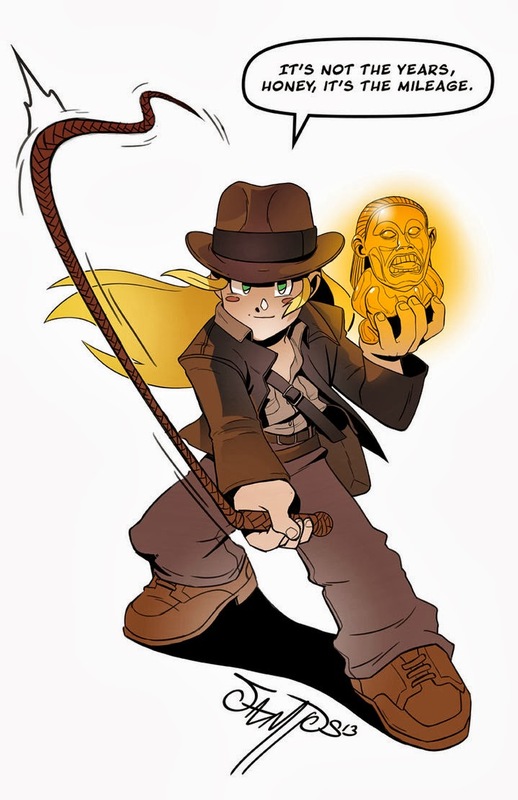 So far she's appeared in costumes inspired by Thorin, Link, Indiana Jones, BioShock's Little Sister (Yellow Devil is Big Daddy, no less), Lilith, Princess Leia, and Elisa Maza. SO AWESOME. Feel free to hit Ryan up with ideas at his DeviantArt. Can't wait to see what tomorrow brings! With his bushy beard and majestic locks, Smooth McGroove brings us another kickass video game a cappella: Storm Eagle. This is a tune that's been requested time and time again by his loyal fans, and at least, McGroove's delivered. Well worth a listen if you're a fan. If you still haven't subscribed to his channel, you're really missing out. Sonic, Castelvania, Chrono Trigger... so many fine a capellas your head might explode out of sheer delight! For your viewing pleasure, here's a sneak peek at a new stage currently in development for Mega Man Unlimited, MegaPhilX's popular fan-game. If all goes well, this stage could be added to the game in the near future. 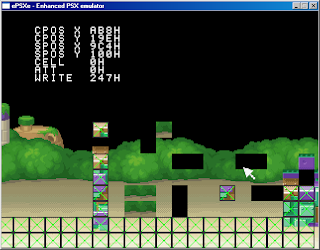 Phil writes, "At some point, this stage might be added to the game in a future update along with a couple of other features Jansim is working on. As usual, I can’t tell exactly when this whole thing will be finished but I’ll keep you posted whenever interesting stuff happens." For more information, head over to MegaPhilX's site here. 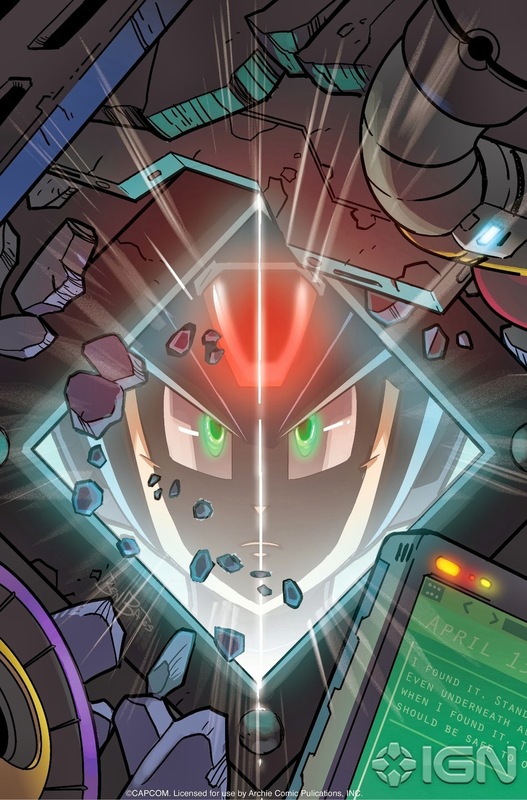 Now that the Mega Man X dust has mostly settled, we can get back to the adventures of Mega Man, Cut Man, Guts Man and Bomb Man, who were last seen investigating the Lanfront Ruins. "Blackout: The Curse of Ra Moon" part 2 is the 30th issue of Mega Man, and you can check out a nice five-page preview over at Comic Vine. Issue #30 goes on sale Wednesday, October 9th at newsstands and comic shops everywhere. 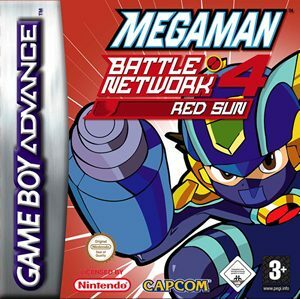 Nintendo are churning out two more Rockman Virtual Console titles next week in Japan. On October 9th, Rockman X2 hits the Wii U (800 Yen) followed by Rockman World 3 on Nintendo 3DS (400 Yen). Still no word when these titles will arrive on our digital shores. Rest assured, they are coming. We'll keep an ear to the ground! Good news, everyone. With a little nudge from PayPal, we've managed to knock down another stretch goal. Coming in at $3,700,000, it's an exclusive stage and boss for Call, Beck's plucky partner. But wait! That's not all! 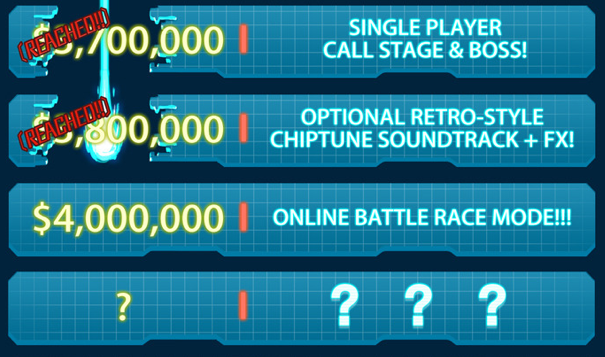 The optional chipute soundtrack and effects have also been reached at $3,800,00! Now all that's left to conquer in these final hours is the online battle race mode at $4,000,000 and at least one more mystery stretch goal. We'll keep an ear open! If you want to get in on this, donate directly through Kickstarter or PayPal. Time is short! Great news for all of these who have wanted to play Mighty No. 9 on-the-go. The Kickstarter has just surpassed its stretch goal of $3.5 million, meaning the game will be made available digitally on Nintendo 3DS and PlayStation Vita. Abstraction Games will be in charge of the ports, the same developer that brought Hotline Miami to PS3 and Vita. This is a goal many of us have wanted, and its great to finally see it achieved. Of course, we shouldn't call it a day just yet, because two new stretch goals were just revealed! $3,800,000: OPTIONAL RETRO-STYLE CHIPTUNE SOUNDTRACK + FX! You’ve seen the names of the legendary musicians attached to this project: Manami Matsumae, Takeshi Tateishi, Ippo Yamada... It’s a veritable who’s who of veteran game composers. So we thought, why not tap into that retro vibe and cook up an optional chiptune version of the entire Mighty No. 9 game soundtrack, including classic sound effects? That’s right – we’ll remix the entire soundtrack, retro 8-bit-style, and the game’s sound effects, for you to listen to in-game as you play, as an option you can toggle on or off in the settings menu! $4,000,000: ONLINE BATTLE RACE MODE!! The ultimate online competition! You and one friend compete online, racing to the end of the same single-player stages -- you can see your rival as a "ghost" image in your game, but you can't affect each other, save for any enemies you defeat being sent over to impede each others' progress! It's an all new twist on a versus mode, that will give Mighty No. 9 life well beyond the single-player campaign! It's the final day, so pledge if you haven't already!